Specializing in air conditioning equipment replacement services, Artic Refrigeration Service, Inc., remains dedicated to keeping its many residential and commercial customers in Athens cool. For us, no job is too big or small. We stand ready to deliver service backed by a 100% customer satisfaction guarantee. 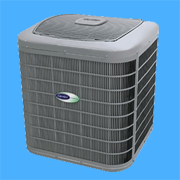 We offer the best selection of air conditioner models at competitive prices. Sit down with our trained AC service technicians to discuss your HVAC needs and discover how to obtain the best interior cooling system for your needs. We are proud to offer quality and value at an affordable price and with a complete customer satisfaction guarantee. Whether you need to replace a single air conditioner, or an entire office complex worth of units, our seasoned service professionals will be there to deliver the quality, on-time service and maintenance you rely on. Call today to learn more about our in-season specials.